I love a good documentary, full of statistical facts and very important Social Justice and Activism Issues. I've seen Free Angela and All Political Prisoners, absolutely awe-inspiring. Looking forward to viewing the others. 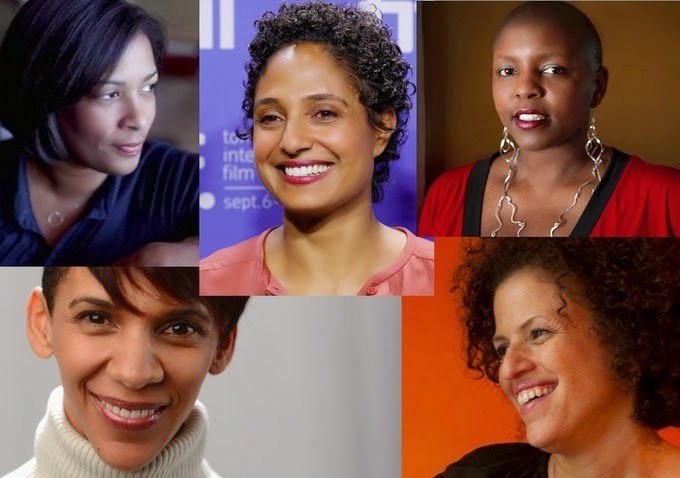 Woefully underreported by major news outlets to date is the fact that this year, there are at least five feature documentaries directed by black women qualifying for Academy Award consideration, including Gideon's Army by Dawn Porter; Free Angela and All Political Prisoners by Shola Lynch; Valentine Road by Marta Cunningham; The New Black by Yoruba Richen; and American Promise by Michele Stephenson. This in-depth profile of activist Angela Davis premiered at the Toronto Film Festival and attracted the support of executive producers Will Smith, Jada Pinkett-Smith and Jay-Z. VALENTINE ROAD Director: Marta Cunningham This HBO Documentary premiered at the Sundance Film Festival and explores the lives of two middle schoolers - an out transgender student and the classmate convicted of his murder. GIDEON'S ARMY Director: Dawn Porter A profile of three young, idealistic public defenders in the Deep South. This New York Times Critic Pick won the Editing award at Sundance 2013. AMERICAN PROMISE Directors: Michele Stephenson and Joe Brewster Won the Documentary Special Jury Prize for Achievement in Filmmaking at Sundance 2013. Follows the 13-year educational journeys of two African American boys at an elite college prep school. THE NEW BLACK Director: Yoruba Richen This explosive documentary on race, sexuality, and the black church premiered at LA Film Festival and picked up the Best Documentary award at Urbanworld Film Festival.